DRS Micro is a Miniature relay system that upgrades the traditional PRCU with innovative features like Ad-Hoc networking, remote control, noise filters and more. Here’s how an affordable easy to use DRS set comprised from one DRS-I and three DRS Micro devices solves the decades-old problem of bad communication and the need to rely on human message relaying during combat. In this short use case we will show a an infantry company operates with 1 DRS I and three DRS Micro is able to overcome a common communication problem and go on with its mission. 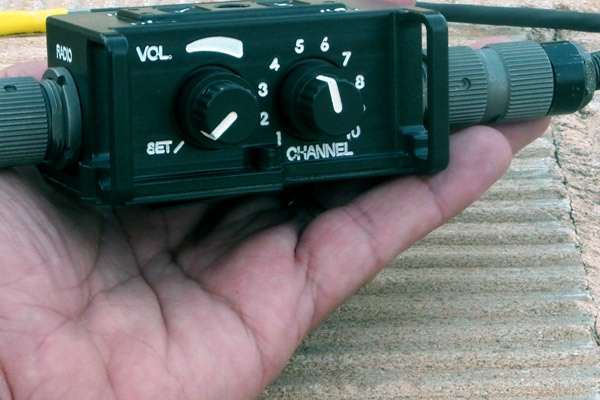 3 Platoon Commanders – DRS Micro attached to handheld/manpack radio transceivers. Platoon commander 1 is out of radio communication with the company commander but is able to have radio communication with platoon commander 2. Normally, they would have to relay the messages between 1, 2 and the company commander – a time consuming, inaccurate operation. How We Solve This – The moment the problem occurs, the system detects the bad communication link and chooses the best available automatic route for maintaining direct, uninterrupted communication.